Unlike most methodologies for personal growth and self development NLP is easier done than said. For a Licensed NLP Trainer™ learning to teach NLP is hard work. However, for almost all people NLP is very easy to do. 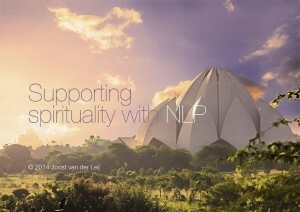 Advancement within the field of NLP means making things easier to do. For that reason rather than spend a lot of time reading about NLP, we much prefer you to experience NLP first hand, so you learn how NLP can improve your life. stop negative inner self talk and replace it with a constructive inner dialogue.